Do you have news, reviews or comments for 'Bohemian Rhapsody'? Outstanding film, tears, laughter, and proof Queen are the best band ever. Moviegoers in China say the version of "Bohemian Rhapsody" shown in Chinese theaters erases mentions of Freddie Mercury's sexuality. As with any super hero film, especially from Marvel, Captain Marvel dominates the box office on its debut weekend of release with the highest debut for a new franchise in the 21 film franchise. The first of this years Marvel films takes over at the top of the UK box office with ease this week and a £12.7 million debut weeeknd. This is the 51st highest debut for a movie in the UK and is the already the 5th highest grossing film of 2019. The last Marvel movie Avengers Infinity War went on to gross just why of £30 million, and with the sequel to that film just around the corner that could put this films total gross in the £25 million region. Falling to number 2 this week the Stephen Merchant direct film takes £1.03 million on its follow up weekend pushing is 10 day cume to £3.6 million. The follow up brick movie is having a harder time on the box office in comparison to its predecessor and this week takes £816,200 pushing its 5 week cume to £16.7 million. The Mark Wahlberg starring film has done well in the UK and this week falls to 4 with £673,286 which pushes its 4 week cume to £9.05 million. Finally in the top 5 the threequel dragon movie takes £655,248 on its 6th week of release taking its total UK gross to £18.09 million. The film is still the highest grossing film released in the UK in 2019 although Mary Poppins Returns is the highest grossing film of the year so far despite its 2018 release date. In a week when there in a Marvel movie on the release schedule it will dominate and the top 5 this week has only 2 films grossing over a million pound which reflects that. At number 14 this week is Bohemian Rhapsody which has now been around for an incredible 20 weeks and has taken £54.4 million. Making his solo directorial debut Stephen Merchant takes his Fighting With My Family to the top of the UK box office on its debut weekend with The Aftermath also new at 6. Based on a true story the film was produced by Dwayne Johnson who also appears in the film and makes its debut at the top with a weekend gross of just over £2 million. This is a typical British feel good movie similar to The Full Monty or Four Wedding And A Funeral and should hang around for quite a while on the UK box office. The brick movie falls from the top after 3 weeks with a gross of £1.4 million on its fourth weekend of release. This brings the films total UK gross to £15.8 million which is about £11 million below that of the first movie at this stage of release. Falling to 3 this week but still doing well is the Mark Wahlberg starring film which takes £1.1 million on its 3rd weekend, this pushes its total gross to a respectable £8 million. This third Dragon movie falls to 4 with a gross of £1.04 million pushing its total to £17.2 million, its still the highest grossing movie released in 2019. Winning the Best Film Oscar and Best Supporting Actor Oscar for Mahershala Ali has pushed this film back to number 5 with a weekend take of £737,659 taking its total gross to £7.4 million. 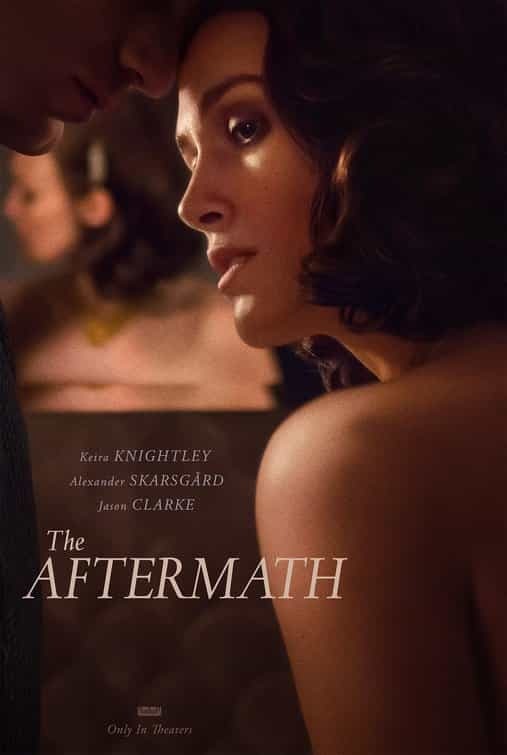 Keira Knightley's new film makes its debut at 6 this week with an opening gross of £589,965. An Oscar win for Olivia Coleman pushes this film up to number 11 this week with £287,797 taking its total to £16.2 million. 19 weeks in and the Queen bio-pic is at number 12, helped probably buy the 4 Oscars it picked up including one for star Rami Malek, a £278,829 weekend takes the film to £54.2 million and the 25th highest grossing film in the UK ever. It was half term week in the UK and The second LEGO movie remained at the top for a third consecutive weekend keeping Instant Family and How To Train Your Dragon 3 to fight it out for second place in an almost static top 5. Remaining at the top of the UK box office for a third weekend the brick movie charmed audiences of the UK half term break to the tune of £2.4 million over the weekend. The film make an incredible £6.6 million over the full week and its total gross in the UK is now £14 million. Just about hanging on to the number 2 slot the Mark Wahlberg starring film takes £1.67 million over the weekend which boosts its total UK gross to a very respectable £6.4 million. Only just missing out on the number 2 slot the Dragon threequel has to make do with number 3 this week with a weekend total of £1.66 million. On the plus side for the film with a total gross of £15.8 million it is now the highest grossing movie released in 2019. The Robert Rodriguez directed Manga live action movie remains at number 4 this week with £870,000 to boost its total UK gross to £7.7 million. After a disappointing opening weekend last week the fantasy adventure jumps up to number 5 over the half term week to take £651.000 over the weekend. Over the week the film actually took nearly £2 million which boosts the films total gross to nearly £2.6 million. Highest new film of the week is at 6, the Liam Neeson starring film makes a poor start to its chart career, maybe influenced by the comments the star made in the press run for the films. The film debuted with a £631,000 opening weekend. Also new this week is the true story of Ruth Bader Ginsburg and her fight for equal rights in the workplace which makes its debut at 8 with a gross of just shy of half a million pounds. 18 weeks in and the Queen bio-pic starring Rami Malek climbs the box office this week to number 10, its total UK gross is now £53.7 million. The Olivia Coleman starring movie is at number 12 this week with a total UK gross of £15.6 million. Starring Taron Egerton and directed by Dexter Fletcher the first trailer for Rocketman hit the internet today. Dexter Fletcher stepped in the finish off the directing duties of Bohemian Rhapsody which went on to make £50 million+ in the UK alone so the film is in good hands. Taron Egerton shows he has what it takes to be the flamboyant singer in this trailer so we can look forward to the film come its 24th May release date. It was a closely fought battle for the weekend box office crown this weekend but by the slimmest of margins The Lego Movie 2 remains at the top. The gap between first and second place this week was less than £4,000 but the brick movie still manages to hold on to the top spot for a second weekend with a gross of £2.47 million. This brings the Lego movies total Uk gross to £7.4 million on its second weekend of release. The feel good comedy starring Mark Wahlberg enters the UK box office at number 2 this week despite giving The Logo Movie a good run for its money. It took a debut weekend gross of £2.46 million. The threequel animated dragon movie is at number 3 this week with £1.6 million which gives its UK gross a boost to £11.5 million after 3 weeks. The Manga battle movie brought to us by James Cameron falls to number 4 this week with £1.4 million which brings its total UK gross to £5.1 million after 10 days of release. Finishing off the top five this week is the Oscar nominated drama from director Peter Farrelly takes £740.086 to boost its total gross to £5.1 million. Also new this week at 6 is this sequel horror movie to Happy Death Day which takes £735,000 on its debut. Falling well short of expectation is this new fantasy adventure movie from director Joe Cornish, who also directed the acclaimed movie Attack The Block, which enters the UK box office down at number 7 with a debut gross of £666,000. Still pulling in the punters 17 weeks after its release the Queen bio-pic has now grossed an amazing £53.3 million.